When it comes to self tan I like to play the field. I switch up which tan I use depending on how much time I’ve got to tan, what I’ve got on and quite frankly, if I’m feeling hella lazy. 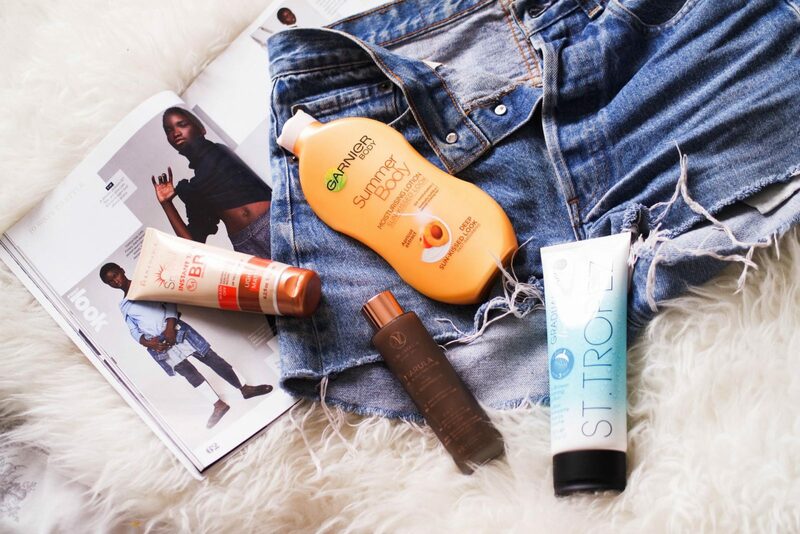 Between them, these 4 self tan products have pretty much sorted me out for anything life’s thrown at me – so dramatic for a post about self tan I know! So I thought I’d share them with you guys as some of these I have been using for years! I was using this a while back and stopped for ages. The other day I used it again and was like why have I not been using it this whole time!? It’s a moisturiser but smells like apricots not the dreaded biscuit smell. And although its a moisturiser for me, one coat is enough to last me a week or at least a few days! Moisturise twice a week with this and you’ll never need to go in the sun again, if you don’t want to! It’s also super natural looking! This one was a slow burner for me! I used the dark shade (even though I’m pasty) for well over a week before I saw any change. It is however, the most natural and slow building self tan and I’ve heard it’s what the models use. If it’s good enough for a model, it’s good enough for me! What I love about this one the most is that you put it on in the shower so theres no smell or mess! I was kindly sent this by the lovely people at Vita Liberata to give a try a couple of months ago. I’ve never used a self tan that costs more then £10 before so I have to say I was sceptical on if it was really worth it. It definitely is. You only need the tiniest bit as it goes a long way meaning it lasts ages. 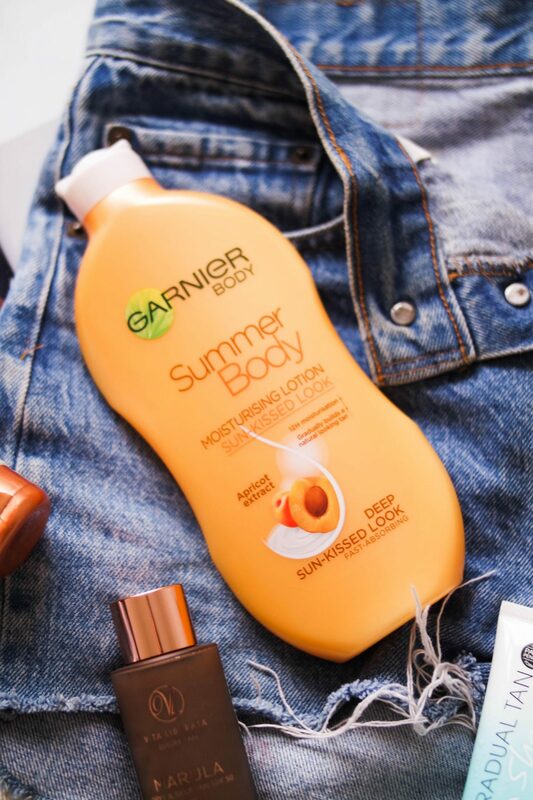 This is great for pasties like me who want to go in the sun, and be tanned, and not burn all at the same time. 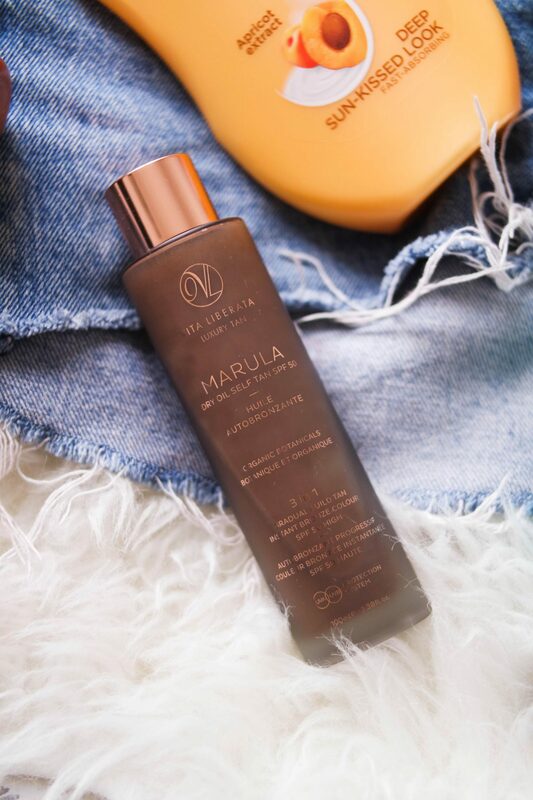 It goes on like an instant tan so you can see where you’re putting it and get the benefit of the instant tan, then once you shower you’re left with a lovely long lasting colour. It’s also got factor 50 in it which means you’re protecting your skin whilst wearing it. The only thing I would say is that it does come off on your clothes, OK if you’re one of those sleep in a onesie in your tan overnight kinda gals, but I just can’t do that so I do it on a day I know I’m not leaving the house and stay in a dressing gown! I was also kindly sent their new pHenomenal long lasting self tan which I haven’t had chance to try yet! Please let me know in the comments if you’ve tried it and what you think! This is an old friend of mine with a snazzed up formula. 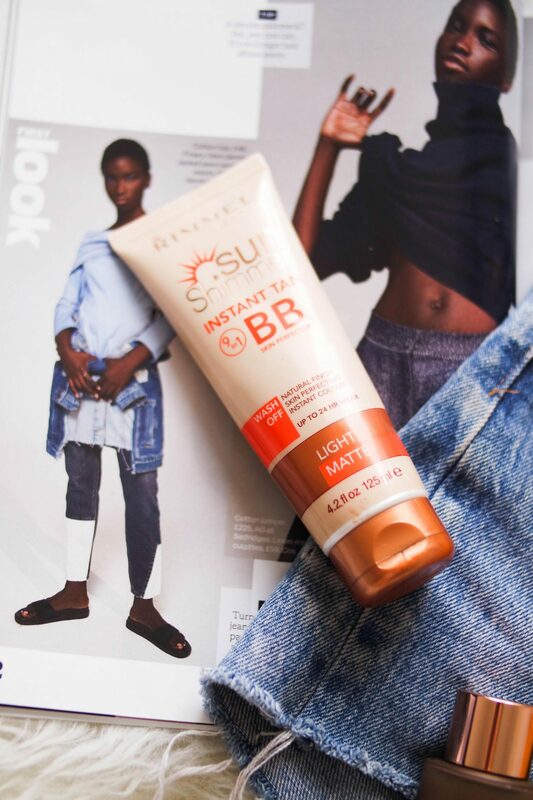 I used to use the regular Rimmel Sun Shimmer Instant Tan then I found the BB version. Just a word of warning, it does come off on your clothes always which is the bain of my life. But I put up with it because it goes on so nicely, looks incredibly natural and the BB part of it covers up imperfections and gives a more even skin tone. If this didn’t stain my clothes quite so much, I would probably wear it everyday. It’s super easy to apply, literally takes under 5 minutes, which is why this is where I turn for nights out and tan in a hurry! Just don’t sit on any white chairs!!! See how I wear my tan in my summer style post!! 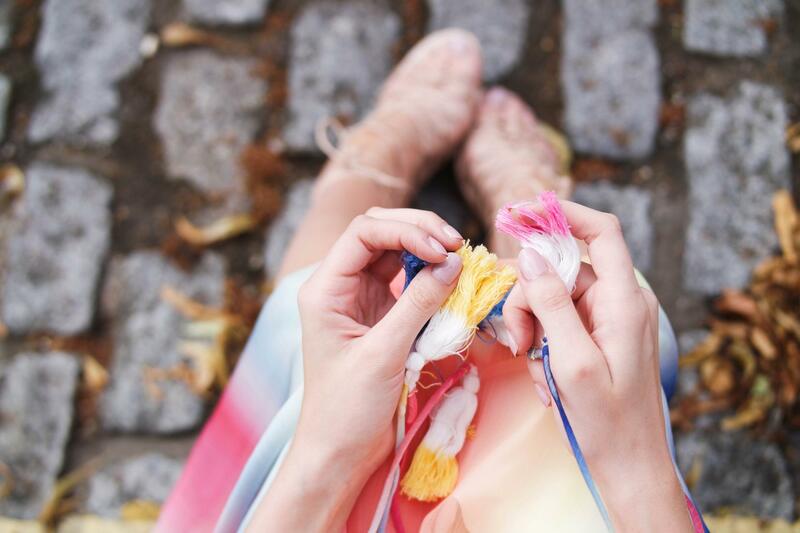 Make sure you follow me on Bloglovin’ so you can stay up to date with all of my fashion & beauty tips! Next Post Currently Living in . . 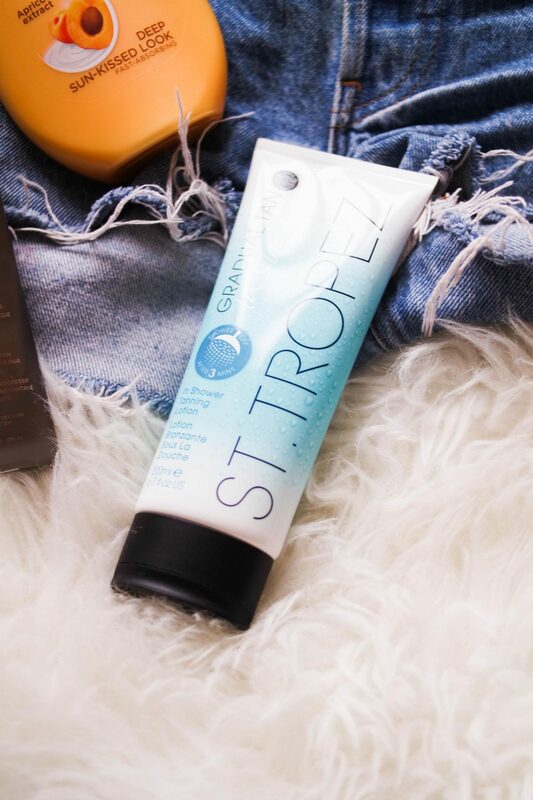 I really didn’t get on with the st tropez in shower one, but I love the bondi sands oil! Have you tried it? it’s a really slow builder but makes for a super natural look! I will definitely try out the bondi sands one thanks for the tip hun! It really is so much easier! No mess or smell! OMG for every good story I have I have about 10 horror stories, unfortunately theres a lot of trial and error but most of the ones I have listed are ‘idiot proof’! I love my garner but I do think you have to spend some time working it in to make sure you don’t get streaks! The vita liberate is definitely the best it just takes time to soak in so you’re a prisoner or have to sleep in it! Definitely! The key 100% is to make sure you really properly moisturise it in and work it in welL!